Since 2004, Armana Productions has provided high-quality LED illuminated products to businesses across the United States and the world from our headquarters in Chicago, IL. Businesses and organizations of all types place their trust in Armana every single day to illuminate their brand. 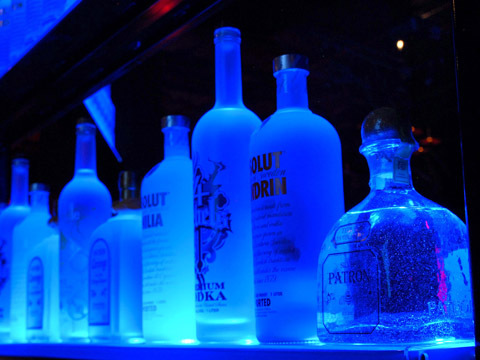 Whether you're the owner of a small corner bar, a big-time restaurant, a retail store or a hotel, we have the products that you need to give you the lighting display you have been searching for. We are proud to say that all of our products are manufactured here in the United States, and our power is UL Listed with our LED components all carrying a CE certification, which means you are not only getting safe and advanced products, but supporting jobs here in the US. Our products are made from acrylic. This material adds the professional look you expect. Our products are never made with wood or MDF (particle board) or laminated materials, as these materials do not hold up well when near moisture and simply look cheap. Don’t be fooled by less expensive products in the marketplace. Armana is committed to distributing unique, intriguing LED-illuminated products that can help improve your decor and atmosphere at a reasonable price. Let us help you impress your guests. Custom sized orders are welcome and there is never a surcharge for custom size requests. Contact us today to learn more about how Armana products can revolutionize your business or bar.